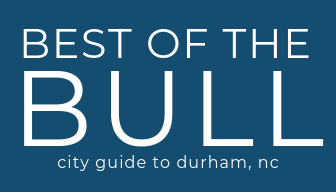 Get ready for another round of great businesses, Durham. Soul Cocina and Chocolatay Confections are bringing international cuisine to the PopUp @ American Tobacco this February. Silvana Rangel-Duque along with Matthew and Danielle White may have different backgrounds, but each of them brings something unique to Durham – globally-inspired food made from scratch. Rangel-Duque started Soul Cocina in 2015 with the goal to bring innovative food to people from all walks of life. Drawing inspiration from the other side of the globe, Matthew and Danielle White created Chocolatay Confections where they craft European-style treats by hand. They make a variety of tempting treats like bonbon bars, brittles, pralines, and caramels. In fact, their Sunflower Crunch Cup received a Good Food Award in 2018. Matthew and Danielle White moved to Chapel Hill in 2012 and began Chocolatay Confections to share the joy of chocolate with others. We’ve been saying for a long time that Durham needs its own chocolate shop. Feel free to find a permanent location in Bull City, guys! The PopUp experience at the American Tobacco Campus in Durham was created to feature unique entrepreneurs that bring a special flair to the Triangle through good food and community. You can find the PopUp space off Blackwell Street next to Only Burger.